Update: This card’s 100,000 point welcome offer expires on 4/24, so apply soon if you want to take advantage. Marriott’s tying up the last few loose ends of its merger with Starwood including the full integration of both chains’ loyalty programs into a new program called Bonvoy. 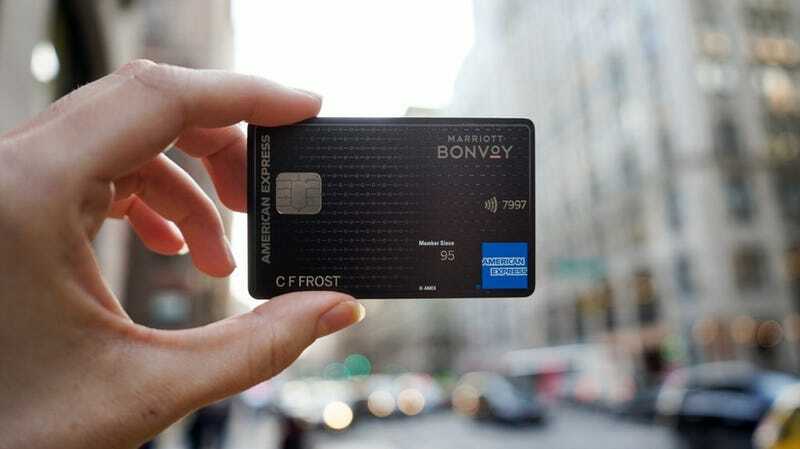 But for frequent travelers, one of the most exciting development may be the relaunch of the SPG Luxury Card, a favorite of ours, as the Marriott Bonvoy Brilliant™ American Express® Card. We won’t bury the lede, the highlight of the Bonvoy Brilliant Amex is a limited time 100,000 point welcome offer when you spend $5,000 in your first three months (valid through 4/24/19). That’s a match for a limited time offer the SPG Luxury Card ran late last year, which proved to be a hit with our readers. Just note that there are a lot of rules governing who is eligible for this bonus. If you’ve ever received a welcome bonus from an SPG Amex card, or currently have a Marriott Visa, you likely aren’t going to be eligible. If you aren’t sure, your safest bet would be to call Amex and ask before applying. Those points aren’t as flexible as transferrable points like Chase Ultimate Rewards or Amex Membership Rewards, and at roughly .9 cents per point (according to The Points Guy’s most recent valuations), they’re on the low end of the spectrum in terms of value. But still, that’s good for roughly $900 in hotel stays, and potentially more if you find a particularly valuable redemption. In addition to your welcome bonus, you’ll earn six points for every dollar you spend at Marriott properties, three points per dollar on restaurants and flights booked directly through an airline, and two points per dollar on all other purchases. The points might not be worth a ton individually, but the Bonvoy Brilliant Amex makes it easy to collect a lot of them. A free night award (up to 50,000 points) on your cardmember anniversary. You may still be on the hook for resort fees, however. Depending on the property and date you choose, this can be worth hundreds of dollars. A $300 in statement credits every year on Marriott purchases, which effectively chisels the annual fee down to $150 all on its own. A $100 luxury credit towards spa services and dining at Ritz-Carlton and St. Regis properties. This perk is new to the Bonvoy Brilliant, and was not available with the SPG Luxury card. Priority Pass membership, with access for two guests. A $100 Global Entry or $85 TSA Precheck credit - just charge the fee to your card, and the charge will be wiped away. Automatic Marriott Bonvoy Gold elite status, which is bumped to Platinum if you spend $75,000 on the card (inclusive of all purchases) during the calendar year. You’ll notice that several of those perks overlap with those offered by the Chase Sapphire Reserve, which potentially harms the value proposition for veteran points collectors. But purely from a monetary standpoint, the anniversary night and $300 credit should cover the $450 annual fee, and that’s not even considering the hefty welcome bonus. The Bonvoy Brilliant Amex looks like it’ll continue in the SPG Luxury Card’s footsteps as a lucrative, perks-rich option for frequent Marriott guests. Its $450 annual fee means it’s probably only worth it if you know you’ll use the annual free night and the $300 Marriott statement credit, but if you spend a decent amount of time and money in Marriott properties, and if you’re eligible for the welcome bonus, you should definitely apply before 4/24/19 to take advantage of the limited time offer.